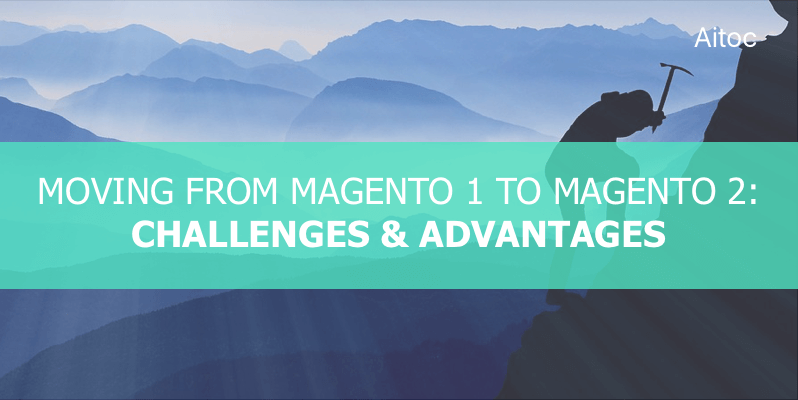 There are always certain concerns when online store owners try to decide whether to migrate from Magento 1 to Magento 2. Launching a Magento 2 store is the obvious choice for e-merchants who start their online venture. But those who have a smooth-running business driven by Magento 1 doubt about migrating to a new edition. Though Magento 1 isn’t a thing of the past yet (and it’s unlikely to become the one in the short term) its support will slowly fade away, while Magento 2 users will be benefiting from regular releases of new features. So if your Magento 1 store doesn’t perform well enough and fails to address your business needs properly, getting a new installation might be a way better option than putting money into the outdated one. If you still sit on the fence read on this article to learn more about pros and cons of moving from Magento 1 to Magento 2. What makes e-retailers opt for Magento 2? This edition has many advantages over the Magento 1.x series. We are going to discuss some of them in this section. Web stores using Magento 2 have faster load times than Magento 1 sites. By default, the second edition comes with full page caching and native support for Varnish HTTP Cache. As Magento 2.x developers take advantage of the latest PHP versions (e.g., PHP 7), Magento 2 stores work really fast. Improved indexers and image compression capabilities of the second edition also enhance the storefront’s performance. Magento 1 admin users know that the admin panel is not very user-friendly. In Magento 2, the panel has a completely new look and easy navigation. There is a dashboard enabling store owners to monitor the state of their business in real time. The dashboard shows different statistics and data in one place: Lifetime Sales, Average Order, Last Orders, Last Search Terms, etc. Another great thing about the new admin panel is that it can be customized to serve specific end-user needs and personalized for every admin. Developers introduced some new options in the back-end. For instance, admins can now upload not only product photos, but videos too. In today’s digital world where people are attached to their mobile devices, consumers expect that web stores have a responsive design. Here is one more reason for having a mobile fronds site: search engine giants like Google rank such websites higher. That’s why Magento developers improved mobile responsiveness in the second edition, thus ensuring that Magento 2 sites deliver a seamless user experience on all the devices regardless of the screen resolution. Magento 2 developers paid much attention to security measures to protect web stores against intruders and make a checkout process more secure. They constantly release security updates to safeguard sensitive data against cybercriminals. The checkout process became much easier and faster in Magento 2, as checkout steps were reduced and now customers don’t need to enter too much information. With the improved checkout process, you can be sure that your clients won’t abandon the cart because of the checkout process’ complexity. The ability to utilize a larger number of built-in payment integrations is another advantage of this checkout process. For instance, customers can now pay using a variety of payment options: CyberSource, Authorize.net, and others gateways. There are some disadvantages associated with migration from Magento 1 to Magento 2. It’s impossible to move a web store to the new Magento edition during one day or two. The migration project requires a lot of time and effort and, most importantly, such a project is more expensive than the upgrade to a newer Magento 1.x version. And that’s not all. You’ll have to halt your sales during the downtime. To accelerate the process, eliminate any mistakes and data losses, don’t carry out the moving by yourself. Ask experts specializing in Magento migration services to run the project. 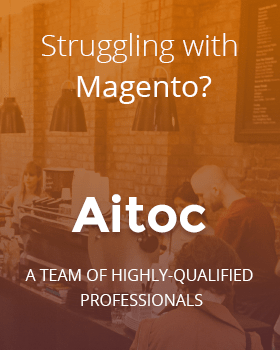 Forget about the Magento 1 theme you are using right now. You’ll never be able to migrate it to Magento 2. You’ll have to pay a frontend developer or a web designer to create a similar theme for your online store if you don’t like the ones available by default. You can also install a theme available in the Magento marketplace. Magento 1 modules cannot be moved to Magento 2, too. They are simply not compatible with it. So if the second edition doesn’t have the functionality you’re looking for, you’ll have to buy a Magento 2 version of the extensions (if there are any) or ask developers to add the necessary functionality for you by changing the source code. Though a new admin panel is extremely user-friendly, it will take some time for admin users to get used to it even if they are quick on the uptake. They will fulfill their task a little bit slower in the beginning. Switching from Magento 1 to Magento 2 is a hard decision. But by moving to the new edition of this platform e-stores get access to numerous great features and upcoming upgrades, while the first edition will become outdated sooner or later. To benefit from the smooth migration of your Magento store, task an experienced team with it.